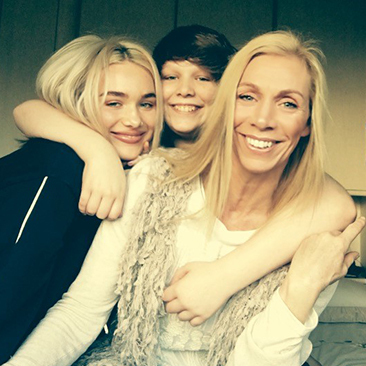 When I count my blessings I count BOBC as one of them, that and my 2 amazing children Maddie & Finn. Does that sound odd? To me it sounds perfectly normal, because without the amazing funds raised by BOBC my other 2 blessings may of had a very different last 2 years or future. I'm 48, a Personal Trainer & injury rehabilitation coach. Im fit, active, eat well, represented my county at sport and gained the title of Sports Captain. I train at least 5 times a week, and have done since as long as I can remember. In 2015 I discovered I had Breast Cancer. Strange thing was I kind of knew I had as soon as I found the lump ( all thanks to my son rugby tackling me one day). How damned inconvenient was my immediate thought, it was August, it was Summer holidays and to be honest was far too busy for this nonsense. I told everyone straight away, mainly as I didn't want it to be the elephant in the room at home or at the gym. My friends and family surprised me by being so shocked and surprised at my diagnosis. "How can you have cancer, you are soo fit?' a common response. 'Oh no, if you can 'it' then anyone can.' That there was my motivation to help anyone I came into contact with. YES, this could happen to anyone. In a way, although it might again sound odd, I'm glad it was me it did happen to, as I knew I could handle it and be level headed about it. All went to plan, and I considered myself lucky. Lucky to be so open about it, and lucky to have received incredible treatment, by incredible staff and equipment. It's only when you take a step back do you think , even if just for a fleeting second that everything could of been so very different from that moment on. What if I'd kept it to myself, cried myself to sleep every night, or kept it from the people who mean the most to me? 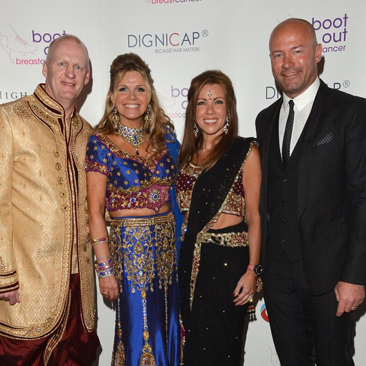 I never want anyone to have to do that, nor should they need to, So when I was asked by Debbie to be guest speaker at the incredible BOBC mascarade Ball I didn't have to think about it- it was a YES. If I could help just one person, one family member, one worried son or daughter, then me having had breast cancer was worth it surely. I'm now a very very proud Ambassador of BOBC, and I am passionate about doing more to raise awareness and funds for women - just like me. Boot Out Breast Cancer is a charity very close to my heart as it is thanks to early diagnosis that my Mum had her breast cancer treated successfully in 2004 and 2005. Every year we all know someone who has their life affected by a breast cancer diagnosis and thankfully the earlier the disease is detected the better. Being able to support a charity that raises funds for this vital diagnostic equipment is very important. Debbie and her team work so hard and it is my privilege to be working with them. For Boot Out Breast Cancer Sarah throughout 2014 cycled with a team in support of Boot Out Breast Cancer and helping to raise awareness of our mission and fundraising goals. She also unvieled the new DigniCap systeam for the Leighton NHS Hospital in Crewe. For Boot Out Breast Cancer Alan has supported fundraising events year after year, helping to raise money for the charity. I have seen in my own constituency the difference that Boot Out Breast Cancer is making. 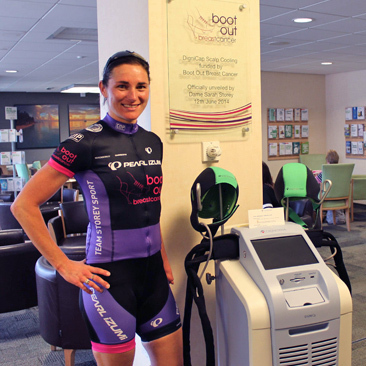 Women in Wigan and Leigh worried about breast cancer now have access to the most up-to-date equipment thanks to the support that Boot Out Breast Cancer has given to our local NHS. I am proud to give them my support and, with yours, they will be able to help more mums, sisters and daughters fight this terrible disease. 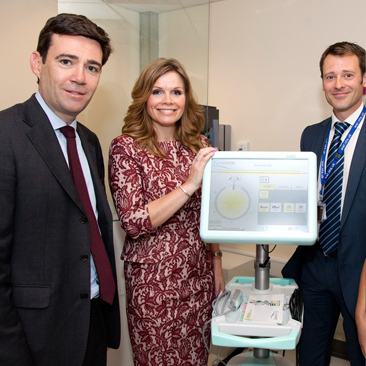 For Boot Out Breast Cancer Andy unveiled the upgraded equipment for the South Lancashire NHS Breast Screening Service worth £85,000. It is both an honour and privilege to become a Patron and medical advisor to Boot Out Breast Cancer. Breast cancer is such a common diagnosis and affects not just individuals but so many families, friends and loved ones. We have seen huge advances in understanding, diagnosis and cure rates over the last 10 years but there is still so much to do and learn. 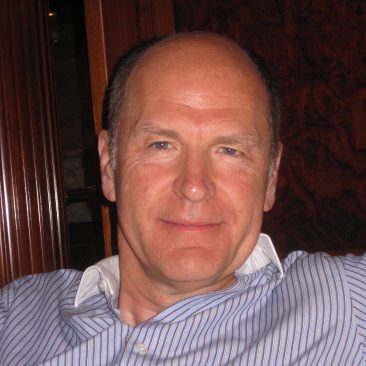 I was appointed Professor of Breast and Oncoplastic Surgery at Barts, London in 2011, after consulting at The Christie and South Manchester hospitals for two decades. I trained in surgical oncology and plastic and reconstructive breast surgery at a time when cross-specialty training was radical. My MD thesis research was jointly between the Christie and the Middlesex, London, on the molecular biology of breast cancer. I have been at the centre of developments in breast cancer surgery and breast reconstruction over the last years and have published a large number of peer reviewed papers, chapters and articles, and lecture internationally. I innovated risk reducing mastectomy and immediate reconstruction for women at high personal risk, such as BRCA 1/2 gene mutation carriers, have trained many oncoplastic surgeons and have extensive experience in breast reconstruction. My professional life is divided between Manchester and London, with the majority of my time now again in Manchester. I have learnt that the most precious things to celebrate are relationships and life itself. I congratulate Debbie Dowie and the BOBC executive for their fabulous efforts and wish them every continuing success.